AED provided CME related services for Blue Plains Advanced Wastewater Treatment Plant –DC (Blue Plains). Services to soft ground tunnels and appurtenances used as well as sewers geotechnical engineering for exploration, planning, design and construction related to large‐size sewer systems and appurtenances constructed as soft‐ground tunnels and open‐cut tunnels. 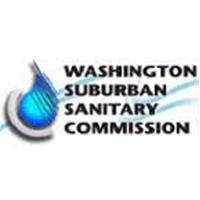 AED provided consultant Inspection and Construction Management Services for The Washington Suburban Sanitary Commission’s (WSSC) Bi‐County Water Tunnel; a new 84‐inch (213 cm) diameter water main being constructed to meet the growing needs of customers in Montgomery and Prince George’s counties, Maryland.